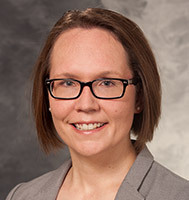 Catherine Allen, MD, received her medical degree from the University of South Dakota School of Medicine, Sioux Falls, SD, and completed her pediatric internship and residency at Nemopurs/A.I. DuPont Children's Hospital, Wilmington, DE. She completed a pediatric cardiology fellowship at Cincinnati Children's Hospital Medical Center, Cincinnati, OH, as well as an additional year of training in advanced cardiac imaging including fetal echocardiography and cardiac MRI. Her medical interests include prenatal (fetal) diagnosis of congenital heart disease, management of all types of pediatric heart disease and non-invasive (echocardiogram and cardiac MRI) assessment of the heart.